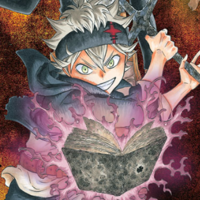 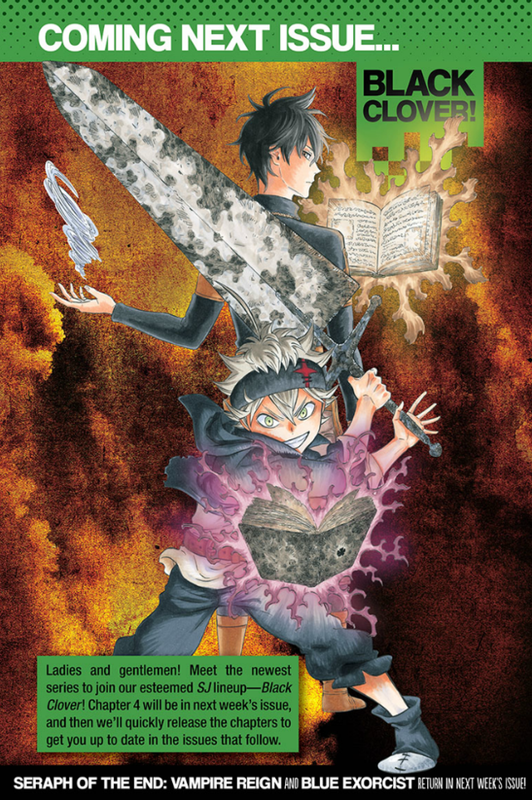 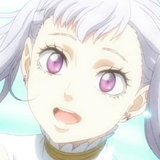 Crunchyroll - "Black Clover" to Join English "Shonen Jump"
"Black Clover" to Join English "Shonen Jump"
Viz has announced that Yūki Tabata's (Hungry Joker) supernatural action manga Black Clover will be joining their Weekly Shonen Jump line-up in next week's April 6th issue. 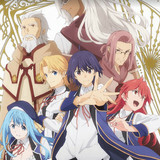 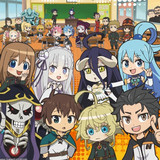 A three-chapter sample ran as part of their "Jump Start" program in a round that also included Toshiaki Iwashiro's (Psyren) Kagamigami, Yuu Miki's Cyborg Roggy and Utsumi Yuusuke's (Gado-den) Urban Battle Satellite. 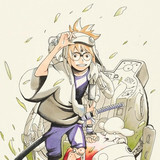 The series will resume at chapter four, then proceed quickly to catch up with the Japanese run for a simul-publication.